How Spymaster Pro Works for iPhone? Want to track iPhone secretly without harming your relationship? You are at the right place. Keeping a continuous eye on a suspicious person is not always possible. But, if it is the need of the hour, then one has to find an easy and quick solution. The intelligent technique is to use Spymaster Pro software for iPhone tracking. Spymaster Pro works secretly to keep you safe from getting caught. And the best part is that it does not require any installation or jailbreak on the target device. 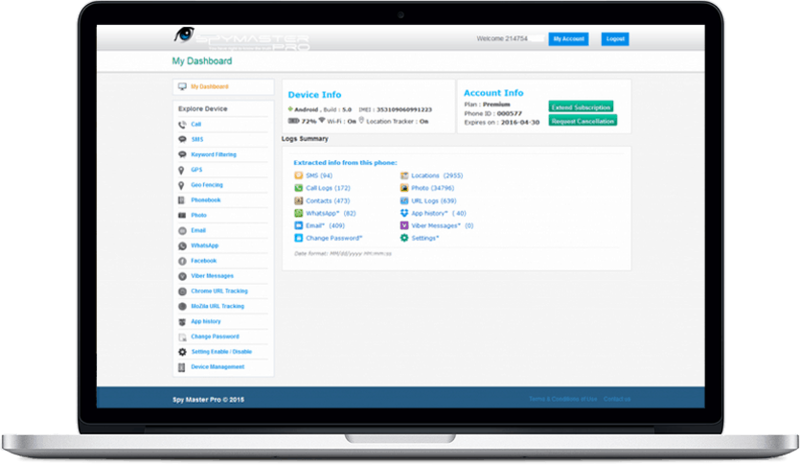 Cell Phone Monitoring Software Click on Buy Now button or Buy Now page, anywhere on our Website. Submit your details. After filling the required details, proceed to checkout. No need to install the software on iPhone, you want to spy. Just use iCloud credentials of the traget iPhone when required,during the process. Follow the instructions carefully, sent to you via email. 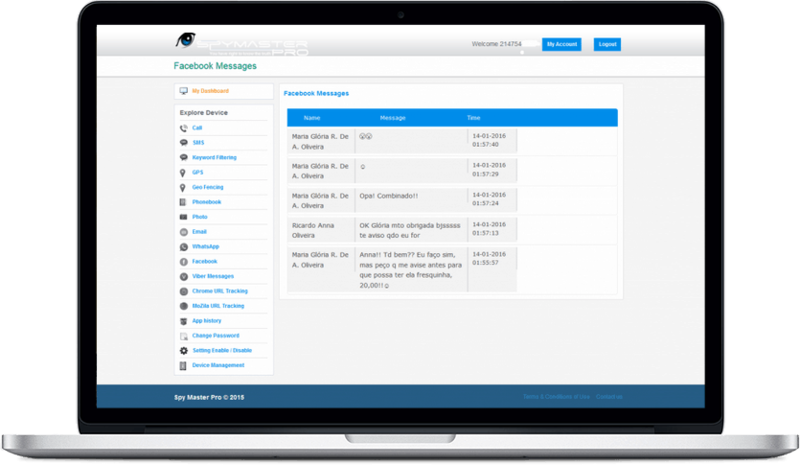 If your child is Facebook addicted and you want to stop him then no need to worry, Now spymaster Pro also track Facebook messenger of the targeted cell phone with all detail. All the address of the places & location history where the target phone was carried will be available through the GPS feature located on Spymaster Pro. Photo of any size or format got exchanged through the target phone will reach in the form of data to be available for you. There hardly gets left any worry about history getting missed or lost. Every individual detail of the browsing made through the target phone will reach the account along with number of visits & date record. All the contacts present in the “Contact List” get laid bare with every individual detail related with the same contacts in addition to all the additional numbers located in target phone. Emails get outlined in smart format details having features likes date,time, name, subject along with the content inclusive of attachments along with the mail if any. 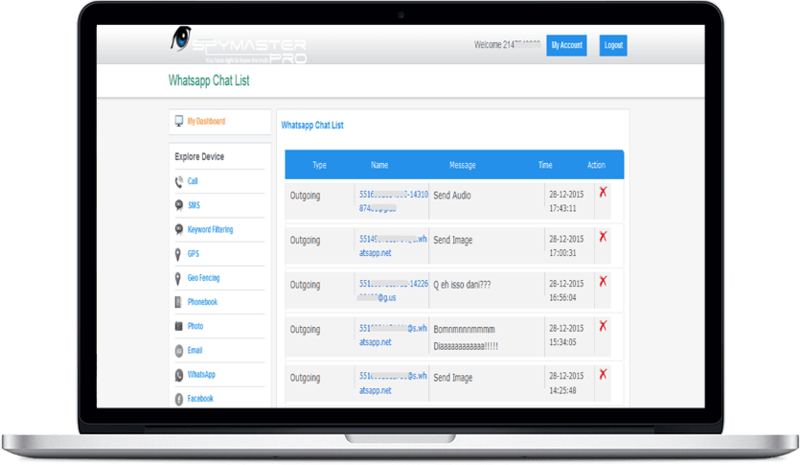 Spymaster Pro track all WhatsApp chat conversation like incoming and outgoing text messages with the person name and cell phone number including date. SMS Logs get outlined by just clicking on the concerned tab. It will be followed by all the details along with the text exchanged even if tried to be deleted by the user. Clicking the Call Log will lead to have the call records against every contact name while being inclusive of other details. All the tabs like SMS Logs, Emails, Phonebook, URL Tracking, Photos Tracking & Call Logs become available on the dashboard. Every tab consists of the tracked data got uploaded from the target phone in relation to the features offered. 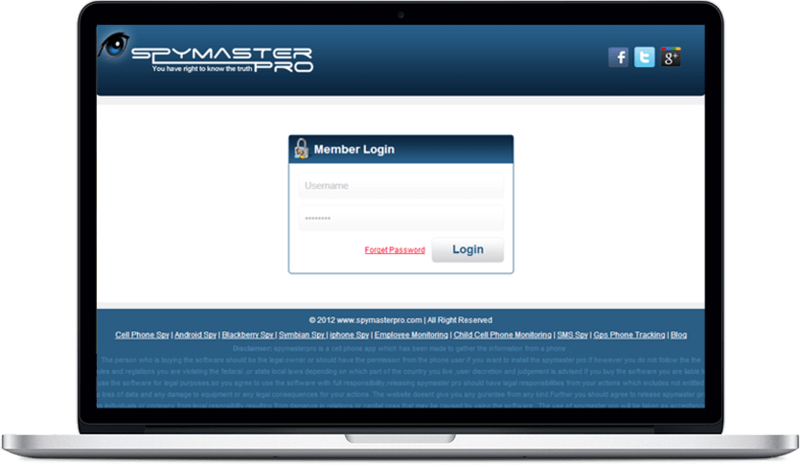 To have all the tracked data, Login Username & passwords .Then Click Login. For any query one can mail us on support@spymasterpro.com. Now, it is quite easy to monitor an Android phone secretly. More easier, safer and faster. No need to peep into the phone of the suspicious person. 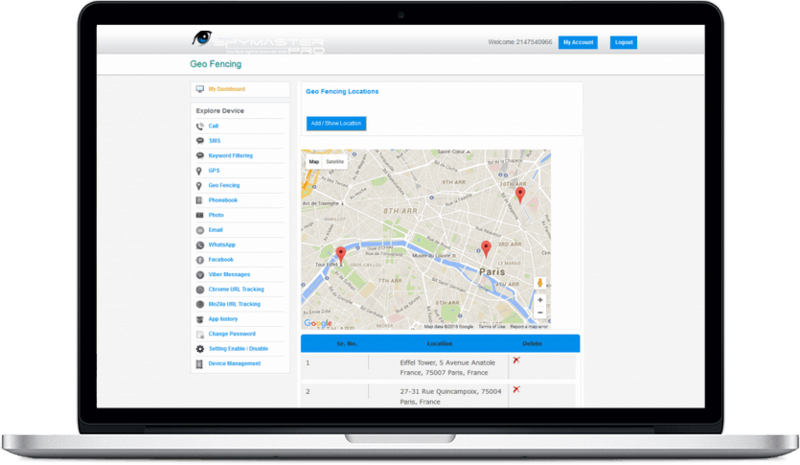 Just get the modern spy app and track their activities remotely. 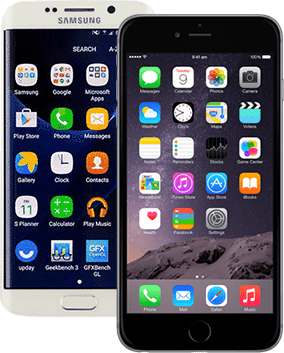 You can look into all the content of their Android phone at a single click using the exclusive features associated with this monitoring software. Get the software, sit back and relax. Spymaster Pro works pretty well with almost all the Android devices and provides 100% reliable information. Cell Phone Monitoring Software Click on Buy Now button or Buy Now page on our Website. Submit your details. After filling the required details, proceed to checkout. Download and install the software in the target phone only that you want to spy on. It will take just 5 minutes. Follow the instructions carefully, sent to you via email..